Debt: What’s Your Story and How Do You Feel About It? What is your debt story? What are your attitudes about debt? Why do you feel the way you do? 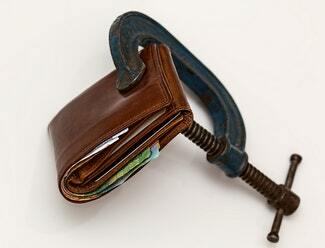 How are your debt levels affecting the Return on Life your money provides? Having a deeper understanding of the above helps us do a better job positioning your money to work more effectively for you. Our current high debt levels reflect a previous generation of low interest rates, an active housing market, a robust credit market, and relative peace and prosperity. This meant more consumers with more plastic and more loans. Again, debt is not bad in and of itself, especially in a healthy economy. But from 2007-2009, many highly-leveraged people and companies were vulnerable to foreclosure and bankruptcy during the Great Recession. People who were born between the Great Depression and World War II grew up in the daily realities of war and lean markets. Unsurprisingly, this group tends to avoid using credit cards when they can. Instead, they rely on the cash in their hands and the checkbooks they balance with pen and paper. That credit-aversion seems to have skipped the Boomer generation, who, generally speaking, happily used credit cards and home-equity loans. The current generation of young workers—Millennials—seem to be warier about carrying debt than their parents were. Millennials are less enthusiastic about investing in the markets. Growing up during the Great Recession shook their faith in the economy. Growing up in the shadow of 9/11 and terrorism, they’ve only known a world unsettled by global unrest. Millennials are also a more conscientious consumer group than their parents were. They want to spend their time, and their money, on things that help to make the world a better place. They consider personal fiscal responsibility to be part of a greater good. Why do you think that you feel the way you do? Are you comfortable with your current level of debt? Is your current level of debt causing any problems with one of your loved ones? Do you pay off your credit card balances in full every month? How do your attitudes about debt align or differ with those of your parents? Why do you think that is? We encourage you to reach out to us and we can take a closer look at your financial situation and help you get on a more comfortable path. Together, we can create a financial plan that will improve your Return on Life.